On Saturday November 14th, 2015 we will be holding a fundraising benefit for Merry Pelow. Merry is a lifelong and very active resident of West Seneca, recently diagnosed with Acute Myeloid Leukemia (AML). 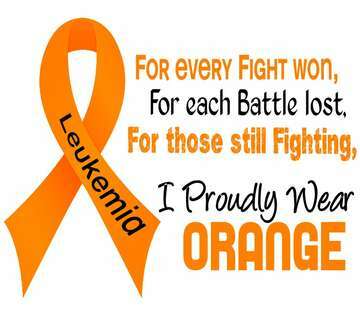 AML is a cancer of the blood and bone marrow. This tragic news came in early April, just days after the birth of her second granddaughter, Evelyn. Within twenty-four hours of the diagnosis Merry was admitted into Roswell Park Cancer Institute where she remained for over a month, enduring multiple rounds of Chemotherapy. Merry was readmitted into the hospital in late July and received a Bone Marrow Transplant on August 5th. Following a bone marrow transplant, the patient requires extremely close monitoring for 100 days, an average of forty-five of which are spent in Roswell Park. During this time the donor’s stem cells, hopefully, engraft. Many appointments at RPCI are required, and twenty-four hour a day care is mandated by the hospital in order for her to come home. Needless to say, the disease has affected the entire Pelow family both emotionally and financially. The extensive costs associated with extracting, transporting, and transfusing the bone marrow cells from the donor in Germany have become the responsibility of Merry and her husband, Cary, and have substantially added to the growing list of medical expenses. Furthermore, Merry has been unable to work since her diagnosis in April, and even after she recovers from the transplant, she will have several new lifestyle restrictions, be required to keep regular follow-up appointments and testing, and will be unable to return to work for a minimum of one year. We are asking for your support in the hopes of helping Merry and her family ease the financial burden associated with this disease. The entire Pelow family thanks you all, and is grateful for your support. We hope you can join us in the celebration of hope for Merry!